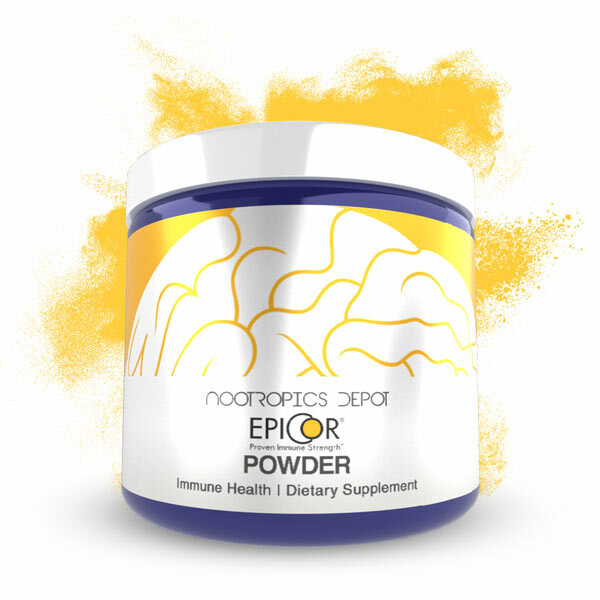 EpiCor is a groundbreaking immune supplement with published human research on supporting immune strength. Unlike other immune health supplements that simply boost, EpiCor works on multiple levels to help you live more healthy days. That’s important because the immune system is very complex and you want a solution that helps address your everyday immune challenges. How Was EpiCor Immune Health Discovered? EpiCor is made through a proprietary fermentation process that has set the standard in the nutrition industry for more than 70 years. This process produces a unique range of metabolites that provides nutritional benefits. EpiCor whole food fermentate starts with baker’s yeast -- a safe, natural microorganism found throughout nature and used for thousands of years to make beer, wine, bread and other food. It's specialized process begins with microorganism cells being deprived of oxygen , which causes them to produce immune supporting compounds and metabolites such as proteins, peptides, antioxidants, polyphenols, organic acids, and nucleotides. This natural, unique fermentation complex also contains the beneficial yeast cell compounds such as 1-3 1-6 beta glucans and mannans. This unique product stands apart from commodities like nutritional yeast or purified beta glucan ingredients. The final production step uses a proprietary and gentle drying process to capture the complex array of nutrients created during fermentation. The dehydrated fermentate is then milled and packaged within containers designed to protect it during storage and handling. The entire process is done under strict cGMP manufacturing and processing guidelines to ensure consistently high quality and safe material. Following extensive safety and identity testing, the end result is EpiCor - a whole food yeast fermentate that helps strengthen the immune system everyday. What is the Gut Microbiome and How Can EpiCor Immune Health Help? How Does an EpiCor Immune Health Supplement Work? Second Line of Defense. 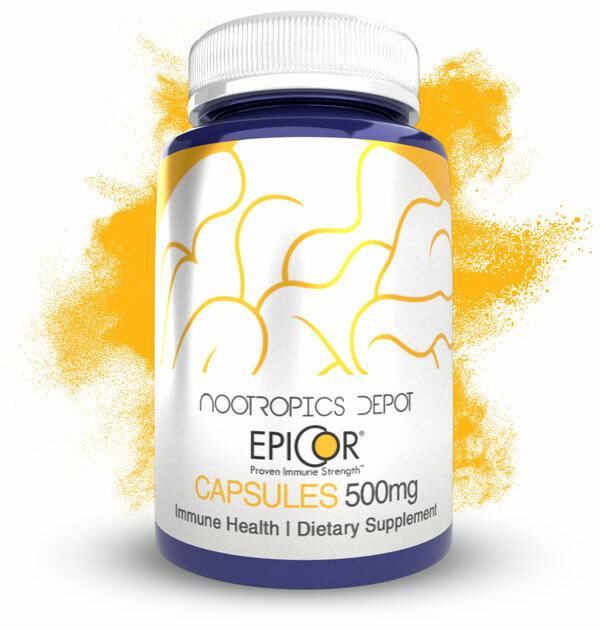 EpiCor helps support another level of immune armor by increasing NK cell activity. NK cells are a type of white blood cell circulating in our blood and organs that are fast and effective in seeking out and destroying bad cells at the initial occurrence. 3 NK cells are called “natural killer” because they don’t need help from other cells to differentiate “good” cells from “bad” cells. 4 This makes them much quicker to respond to keep your body healthy. Antioxidants circulate in your blood and tissues and help protect from cellular oxidative damage, which may affect how your immune system works over time. 5 Published research shows that EpiCor helps strengthen your immune armor by increasing antioxidant power in as little as two hours. More and more people are taking gut support supplements to not only support their digestive systems, but also their immune systems. The digestive system plays a major role in the healthy function of your immune system. In fact, the tens of trillions of beneficial bacteria in your gut are an important part of keeping you healthy. To help your intestinal bacteria stay alive and thrive, they need fibers known as prebiotics, which are foods that nourish the beneficial bacteria. Prebiotics help the good bacteria, like bifidobacteria and lactobacilli, grow and multiply to help your gut stay healthy. EpiCor has been shown to act like a prebiotic in sophisticated digestive system models by increasing bifidobacteria and lactobacilli and the important short chain fatty acid called butyrate for gut health.